There is a fear of continuing spread of Trachoma disease in Malawi if there will be no improvement in sanitation and access to safe water in the country. 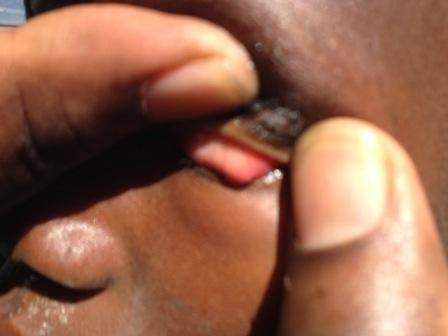 Trachoma a disease which is locally known as Unyonyo, mainly attacks person’s sight and attracts blindness. According the nature of infection, it is one of the setbacks to development at a family, community as well as national level since it brings sight impairment to a human being which unable him taking part in developmental activities effectively. According to the research, it has been come to light that out of 229 million people living in trachoma endemic districts globally; about 9.5 million of them live in Malawi. Assistant Director for Clinic Services (Ophthalmology) in Malawi’s Ministry of Health, Michel Masika confirmed this in interview with Malawi24 saying a disease has covered the whole country. He said that Trachoma is both preventable and reversible depending at which level a person institutes his or her interventions. “Trachoma as a disease is all over the country but as a Public Health problem, it is in 15 districts so far by statistics Nsanje, Chikwawa, Mangochi, Lilongwe, Kasungu, Nkhotakota, Salima and Mchinji is where the prevalence rate of trachoma follicles in children between 1 and 9 years was above 10%”, he said. The figures show that areas of poor sanitation and access of hygienic water registering high number of trachoma cases in the country. Apart from bringing down development, the disease brings misery on one’s life. Desmond Mwale 32, a father to five from Namulepwese Village, Tradition Authority Kadewere in Chiradzulu district who is one of the trachoma victims and lost his sight, testimonies the painful of this disease in an interview with Malawi24 when visited the village but he denied to be taken a picture due to beliefs. According to Mwale, since he attacked by the infection in 2006, his life changed completely since he fails to take care of his family as a bread winner. To her part, Mwale’s wife, Agness confessed that they struggle to get water since they do not have a borehole in their village and alternatively they draw water from unprotected wells dug along the river. “Timakatunga madzi ku nsinje wa Namiseche koma mvula ikangogwa timavutika kwambiri chifukwa madzi ake sakhala olongosoka (We draw water from Namiseche river and we always struggle during rainy season”, she explained. In an interview with Malawi24, Chiradzulu District Water Development Officer, Alex Musicha said the district has 1661 boreholes enough to serve 250 people per borehole but unluckily some of them are not functioning since they were vandalized. He added that other villages in the district have no boreholes up to date due to geographical reasons. “Vandalism is pushing us backwards. Few villages may not have boreholes due to geographical challenges such as rocks”, said Musicha. A million dollar question should be; what is government and other stakeholders doing in addressing these challenges in order to keep all citizens in good health and contributing towards country’s developmental activities?. It has been disclosed that only 65 percent of Malawi’s population has access to improved water and sanitation according to 2015 Malawi Water Sanitation Profile by USAID. It is obvious that apart from trachoma people may suffer from other different water borne diseases such as cholera as a result of poor sanitation and drinking and using unhygienic water. is it diso or phaz? Nde pic yo ndi cha???? koma muzijambura bwinotu nanu Asaa? ?